Park City Closes Despite Great Snow - Ski. Play. Live. This is the first ski season in five that’s still delivering the goods on top of a solid base, yet Deer Valley and Park City won’t budge. Hotel bookings, retail and restaurant sales will plummet. Sure, come to Park City in April. You won’t be able to ski but oh well. To hell with the late spring breakers, Easter guests and season pass holders. To date, Deer Valley has a base of 113 inches, with a total snowfall of 324 inches while PCMR was reporting a 113 inches, and nearly 340 inches for the year. There is a cold storm on the way to Utah this Wednesday night and a wet April in the forecast. “Pretty sad that PCMR won’t stay open,” said Jennilee Post on the ParkRecord.com site. “DV has always closed early so that is actually normal. Since Vail took over it’s been a total crap show. No night skiing for all the kids, no parking. A real ski town has night skiing and stays open when there is finally snow. Sad times for P. City.” Snowbasin and Solitude, owned by DV’s Alterra Mountain Co., will close April 14, followed by Brighton, Alta and Snowbird. 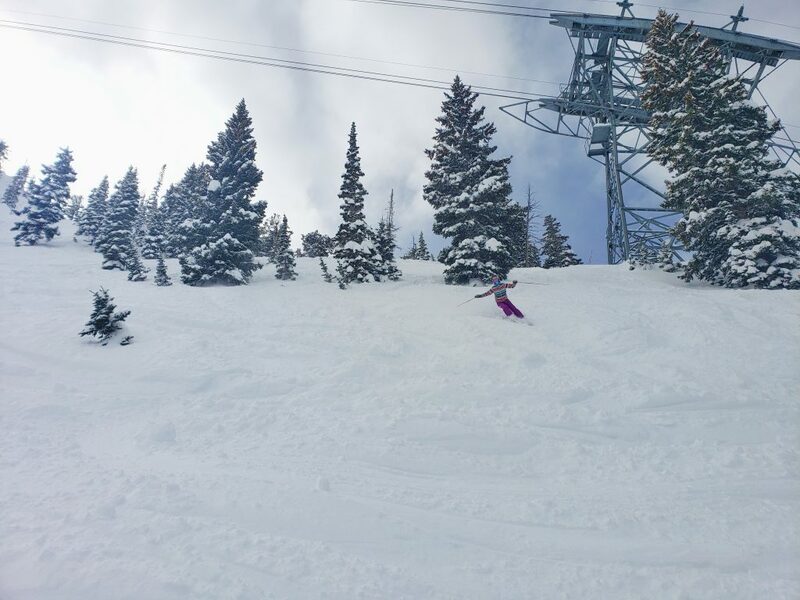 Fortunately, our two “indie” resorts, Snowbird and Alta, offer skiing through April. Snowbird might possibly stretch its season through June with all the snow they’ve seen this season (546 inches so far!) so if you’re thinking of learning to ski or snowboard, or you’re not ready to call it quits, you have options. The ski schools are still running as well so find a pro to help you master your spring turns. In case you need a reason to take a lesson when Park City closes in two weeks, PSIA- the Professional Ski Instructors of America have put out this list. No matter what someone’s level of experience, from never-ever skiers to a slayer of bumps, taking a ski or snowboard lesson in the spring will up your game. You can stay pleasantly warm while you stand for tips and answers. You certainly won’t be complaining about cold toes and fingers while your instructor explains how to turn in slush. “Whether you’re a beginner trying to get your helmet adjusted, or an advanced snowboarder working on your tricks, professional instructors are just that, pros. We can show you how to learn a sport using simple steps,” said AASI Snowboard Team member Tony Macri. Get welcomed into the mountain culture. “It’s more than just a lesson,” said Dixon. “Many do this job because they enjoy sharing their knowledge and making connections with people, and they want others to love the sport as much as they do.” And after your lesson, there’s apres tailgating!